We sought Danya's invaluable guidance to help support my 18 year old son on the autism spectrum who is facing some persistent medical health issues following a misdiagnosis 3 years back. Danya's White Light Healing guide was so detailed and infused with her divine insights and it immediately uplifted our hearts! I explained the steps to my son and he intuitively learnt the simple yet powerful steps soon. This was combined with my visualisation exercises too which soon became effortless. Recently a report indicated that my son's liver enzymes have reduced which we are so happy about. He also reports that White Light helped "reduce brain fog" or difficulties in thinking and memory which was bothering him. An important aspect of White Light Healing is to have a profound faith in its ability to heal at a deep level and also consistent practice. We are deeply grateful to Danya for her continuous and timely support. She is a deeply positive healer with divine insight and a pure heart. Hari Om... with much love and LIGHT to all. Abundance Healing: There were noticeable blockages at certain levels in my business transactions. As I started consistently applying Abundance Healing Meditation doors began to open and long awaited completion for a very important transaction finally came to a close within a 2 week timeframe after performing this POWERFUL meditation. My mental and emotional clarity is keener and I'm more intuitively aware. Numerology Changes: Favorable occurrences presented themselves as I started using and signing my name that numerically added up to my lucky number as suggested by Danya. I will continually apply these recommendations in my personal and business life. POWERFUL! I have been a Reiki student of Danya since 2014. I must say I have been very fortunate to have a teacher like Danya. I have been a Reiki practitioner and found immense benefits out of it and has accelerated my spiritual journey then on. She introduced me to Abundance Healing with the Primal Wave and Abundance Meditation and since then I have been practicing the Abundance Healing and Abundance Meditation with the Primal Wave I was attuned to by Danya. It has been an amazing journey since then. Primal wave really speeds up the healing process to lightning speed! I have been suffering from Trigeminal Neuralgia for over a year. My medication has a lot of side effects and the dose couldn't be reduced due to the facial neurotic pain. After practicing Abundance Healing and Meditation I have found the pain has gradually decreased and my doctors suggested reducing the medications. The course was very well done. It paralleled many things I have learned from the spiritual tradition. It was a good blend of intuitive work and practical recommendations. I'm enjoying this course immensely. It's the kind of spiritual guiding I've always wished for. 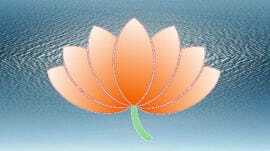 I want to thank you for giving me attunement on an auspiscious day (Gurupurima day). Since after that I am enjoying every day of my life and feel very relaxed and harmonious all the time. I was not even sure that I will be able to do my own healing every day, but the grace of god, and Reiki, I am able to do it as well as enjoy the good results. I am a yoga student, and because of Reiki I feel so much flexibility in the body and enjoy doing yoga more than before. Thanks for giving me peace and harmony in my life. I want to thank you for being a part of my spiritual life. God bless you always for helping me. Remember, when I approached you?- I was sad, depressed and worried about the many problems that I thought would never end. But after the beautiful attunement you gave me, my life changed one hundred percent. Every day I give Reiki to myself, and repeat the five principles. Within a few weeks of my attunement my life changed. My house is filled with peace now, that beautiful peace that I was searching for years. My entire family is happy, my kids say ever since I have started Reiki I look happy and have stopped screaming at them. I feel full of energy and peace, my mind is quiet and I don't worry anymore. My face is clear now and all the acne problems have vanished. My permanent residence card came sooner than I thought. Thanks to you and thanks to Reiki. You are in my prayer and always will be because you are my Spiritual Guru. I would also like to thank you because you sent Reiki to my son, Jeffrey, and he did much better at school and at sports. I will always love you. God bless you!!! - and your family as well! It was not a mere chance that I got in touch with Danya in 2014. It did and has happened for a reason. For quite some time I had been ignoring the negative energies that I had accumulated day after day as I performed my day to day activities. These negative energies stemmed and without my realization started to and get attached to me as a person. Stress from work and the zeal to outperform, sadness from being away from my near and dear ones, anger of procrastination to heal myself were a few that led to an eventual breakdown. This is when I started looking at alternatives to heal and compose myself. I researched online and behold my first click into salvation and peace was Danya Basu. Six months and counting and welcoming Reiki into my life has been the significant most life changing event that I have experienced so far. I sincerely thank Reiki and my Reiki Guru, Danya who has helped me enter into a world of inner peace and calmness that I have yearned forever. I am glad to find your wonderful Reiki website. I study architecture in Bangalore. Thanks for solving my health issues with Reiki. I remember the time I became unconscious on the road and health issues became a big hindrance in my education. Then I came across you and that single Reiki session not only healed my fever but also healed all the negative conditions in me. Today I am in good health, my studies are going on great and my family is so relieved! God bless you and give you the strength to heal many more people in need. I'm writing to let you know how I've been feeling since you started the distance healing on me. I have actually been feeling pretty good and very energetic. My last CT Scan shows no Lung Nodule and I was advised to perform my regular activities. I realized that Reiki is not a religion, but an experience which can only be fully understood after receiving attunements. I thank you very much for your help. I am a professional Yoga Teacher. I broke my leg in August, 2009. Life came to a halt then and there. A few months later, though my fracture somewhat healed, I could not fold my leg or sit on the floor. Not to mention, for a yoga specialist like me that was devastating. Then I met you, and with your Reiki healing my knee healed up completely and I was able to bend it, sit on the floor ...do yoga! Amazing! I got back to work! Searching for a Reiki teacher can sometime be overwhelming. I wanted to find a teacher who I could connect with. Finding Danya's website was a blessing. She is extremely attentive and explains everything beautifully. Before moving on to the next step, she makes sure that you understand the things she is explaining. She brings such a welcoming and peaceful environment that will put you at ease and make you comfortable. After the amazing courses, she is just a few clicks away if you have any questions or concerns. I will recommend her to anyone looking to take Reiki courses. She is incredible. She introduced me to a wonderful healing journey. The Reiki sessions were very helpful and calming. Danya Ma'am is a very genuine person & the advice she gives you is extremely honest & helpful. She explained the concepts & the techniques very well & helped foster the confidence that Reiki can and will help us always. Even after the course she is always ready to help you with your queries. Pleasure to learn under her. I chose Danya as my Reiki instructor because she was so forthcoming (from day one), in answering my many questions about the different levels of training. This was even before I committed to taking her course. I also like that she was willing to give me treatments if the symptoms from my 21 day cleansing were too bothersome. Thankfully, they were not. I feel much calmer, and able to deal with life's daily stresses since being attuned and completing my 21 day cleansing. I can't wait to move on to level II! Thank you Danya! You've been a tremendous help to me, and I will be forever grateful! What I would like to say about Danya's Reiki II course is that I enjoyed it very much. She is a very good teacher. I learned a lot from the course. She was very informative and helpful. I feel that the course was well done and she covered all the topics well. The attunement was a wonderful experience. I felt a slight tingling all over my body and felt very calm. This course has helped me in many ways. My friends say that when I give them a healing they really feel the energy flowing and feel very relaxed. It had helped to make my meditation time more intense. I would recommend this course to anyone wanting to continue in their study of Reiki. Danya is an excellent teacher and I look forward to taking her Reiki Master Course and will go to her for my Reiki treatments. I'm grateful for your healing presence and guidance. You have been very patient and helpful in properly showing me the power of my intention with the use of Reiki. I'm very honored to have you as my Teacher/Guru. Thank you for your kindness, attentiveness, honesty and understanding. I look forward to consulting with you very soon. May the Universe and our Higher Selves guide us by our faith and trust in spirit. Danya has attuned me to the gift of Reiki. Thanks Reiki Master for your open heart, spirituality, charisma and teaching techniques. I will make sure to open my heart and mind to enjoy and share the great benefits of it. Thank for your kindness and sensitivity. Danya explained in fine details what the attunement process was and what to expect. Once the attunement started I felt a vibration in my neck twice. The first time was more intense (no pain) than the second. Towards the end I felt like I was having electrical shocks in my hands (no pain). Once I completed the attunement I felt very relaxed, sleepy, and in the evening, slight headache, sinus congestion, and stomach rumbling, as the cleansing had started. I did self cleansing that evening and I was also surprised how my stomach felt so much better. I have always had GI issues, which since I started the cleansing, has much improved. I also noticed on the second evening I had more energy and needed a snack because I was actually hungry. By the third day I noticed I had a generation of heat from my hands while doing the cleansing and continued to feel relaxed. Giving myself self-care Reiki is amazing, thoughts are so much clearer, feel so relaxed, and if feeling a little off I spend a little more time in that area.